Sting and Jason Mraz, amongst many other attractions, mark the 2009 edition of the festival, that happens on November 21st and 22nd in Sao Paulo. 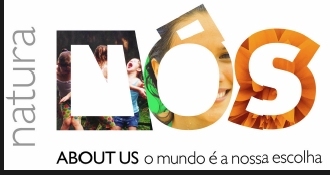 Created by Mondo Entretenimento in 2008 to disseminate, by means of entertainment, sustainability and the importance of each one of us in the planet, the About Us Festival will come back to São Paulo on November 21st and 22nd now with Natura acting as the event's main sponsor. The About Us - Natura Nós will surely repeat last year's great success now with Natura, a company that brings it's expertise on responsible management, establishing deep relationships based on ethics and transparency, in addition to the compatible company goals on sustainability. This year's event will be located at the Chacara Do Jockey and it brings once again a primer of ecological offers and activities as well as great music and fun. After bringing names like Ben Harper and Dave Matthews Band, the festival this year is divided in two distinct schedules: on the first day, November 21st, the Festival mainly reaches out to the kids and families. Attractions include the Monica Group (beloved Brazilian cartoon character), Afro Mix, that mixes dance, music and theater, HI-5 Five Senses, based in the childlike series of Discovery Kids, the Minas Gerais Choir "Meninos do Ara?uaí" and Palavra Cantada, bringing their prized children's repertoire. The second day of the festival, Sunday, November 22nd, is directed to raising awareness to all audiences. This year, the event's featured musician is also a great supporter of world ecological awareness: singer, composer and multiinstrumentalist, Sting. Also on Sunday the audience will enjoy, for the first time in Brazil, Jason Mraz, author of the hits "I'm Yours" and "Lucky" to mention a few and a team of renowned Brazilian artists: Afro Reggae, Lenine, Carlinhos Brown and the São Paulo native, Arnaldo Antunes. The tickets for the About Us - Natura Nós Festival will be on sale on October 6th at the official event's box office @ Morumbi Shopping, Call Center 4003 15 27 or on-line @ www.livepass.com.br. Composer, singer, actor, activist - Sting has won universal acclaim in all these roles, but he defies easy labeling. He's best described as an adventurer, a risk-taker. As he himself said, "I love to put myself in new situations. I'm not afraid to be a beginner." Husband and father of six, masterful guitarist and bassist, and also a devoted Yoga practitioner, he's made a career, in fact, of new beginnings. A milkman's son from Newcastle, England, Sting was a teacher, soccer coach and ditch digger before turning to music when he met Stewart Copeland and they, along with guitarist Andy Summers and formed the Police in 1977. The band quickly became a success both in the UK and U.S. scoring several No. 1 hits including "Roxanne," "Every Breath You Take," "King of Pain," and "Every Little Thing She Does Is Magic." They earned five Grammy Awards and two Brits and in 2003 the band was inducted into The Rock and Roll Hall of Fame. The Police reformed and embarked on a world tour in 2007, playing to over 3.7 million people on five continents. The trio's live work forecast the astonishing inventiveness and range of influences that Sting would realize fully in his solo career. Sting has evolved into one of the world's most distinctive and highly respected performers, collecting as a solo performer an additional 11 Grammys, 2 Brits, a Golden Globe, an Emmy, three Oscar nominations, Billboard Magazine's Century Award, and Musicales 2004 Person of the Year. He has remained at the forefront of the public consciousness for 4 decades and has written some of the most enduring songs of our time. Sting's forthcoming album, If on a Winter's Night... will be released this Fall on Deutsche Grammophon and presents an arc of songs that conjure the season of spirits, featuring a collection of carols and lullabies spanning the centuries, resulting in a haunting and reflective musical journey. Sting's support for human rights organization like the Rainforest Foundation, Amnesty International, and Live Aid mirrors his art in its universal outreach. Along with wife Trudie Styler, Sting founded the Rainforest Foundation in 1989 to protect both the world's rain forests and the indigenous peoples who live there. Since its inception, the Rainforest Foundation has expanded to a network of interconnected organizations working in 23 countries around the globe. We Sing. We Dance. We Steal Things. comes six years after Jason Mraz saw his major label debut, "Waiting for My Rocket to Come" explode off the success of such hits as "Remedy (I Won't Worry)," "You & I Both" and "Curbside Prophet." Shortly thereafter, he returned with his Grammy-nominated, critically acclaimed Mr. A-Z, which continued his chart success with "Wordplay." Throughout, his reputation as a tremendous live act soared. We Sing. We Dance. We Steal Things. earned three Grammy nominations, including Song of the Year and Best Male Pop Vocal Performance for "I'm Yours." The album, Mraz's most self-assured effort to date, is characterized by songs wrapped in clever, observant lyrics and strong, engaging pop melodies, all inspired by "gratitude." "I'm Yours" is a warm breeze of a song about generosity, surrender, and openness to life's infinite possibilities set to a lilting island tempo. The track has since been certified 4x platinum and made history as the first song ever to top the charts at four pop radio formats: Hot AC, CHR/Top 40, Triple A, and AC. Propelled by the success of the song, We Sing. We Dance. We Steal Things. has been a breakthrough album internationally for Mraz. More than 2.5 million albums have been sold worldwide. In addition to being certified platinum in the U.S., the album has also received platinum certification awards in France, Canada, Singapore and Hong Kong, triple platinum status in Korea, double platinum in Australia, with gold records in the United Kingdom, Malaysia, Portugal, Norway, Sweden, New Zealand, The Netherlands, Taiwan, Ireland, and Switzerland. In Brazil, "I'm Yours" has been included on the soap opera "A Favorita" soundtrack. Another highlight on the album is "Lucky," a simple, endearing duet with platinum singer-songwriter Colbie Caillat. "I got word that she was a fan and might consider working together, so I immediately demanded her phone number," Mraz says with a laugh. For an artist who is so well known for his clever, inspired way with words, it should come as no surprise that many of the songs for "We Sing" were born from a songwriting game he plays with a number of other artists. "The game is like a support group. It's a way for writers to encourage each other, to stay active in their craft and not get too heady and where their song might end up." "For me, music is the closest I may ever get to realizing what God is. (Music) is an awesome invisible force that gets under your skin, makes you dance and has the power to transform you. Awards and recognition are always encouraging and nice to receive, but they're just a pageant show compared to the real reward that music gives. Therefore, I'll be writing songs and setting stages for a long time to come. I'm hooked on it. And I'm grateful." Born in 1962 in the neighborhood of Candeal Pequeno in Salvador, Antonio Carlos Santos de Made, or Carlinhos Brown is one of the most active, innovative and creative artists of the current Brazilian music scene. With many talents, Brown stands out as a singer, musician, producer, arranger and cultural agitator. But what projected him internationally were his percussion skills. From the beginning, he crossed paths with Osvaldo Alves da Silva, The "Painted Master" of Bongo, who started in the world of music through the discovery of percussion. Passed by WR studios, where he learned recording techniques and participated on the Luis Caldas band that presented the music of Bahia to Brazil. On The 80's, he joined Caetano Veloso's band during the tour "Estrangeiro" and through Caetano he had his first song nationally known, "Meia Lua Inteira", which was included in the soundtrack to a GLOBO Network Soap. In the late 80's he founded Timbalada, with which he carried out dozens of world tours. He penned and produced five tracks on the CD "Brazilian", by Sergio Mendes, who won the Grammy for Best World Music Album. In 1996, he launched the celebrated "Alfagamabetizado," his first solo album. In 2002, together with Marisa Monte and Arnaldo Antunes, he created the Tribalistas, whose CD and DVD products reached more than 1 million sold. Since the launch of its first solo CD, released four other projects. He is currently divided between his international careers, his social projects in the neighborhood of Candeal Pequeno, shows, producing records and tracks for dance, film, amongst others. Musician, poet and visual artist Arnaldo Antunes was studying Literature at USP, when Titãs exploded and took his time through concerts, recordings, rehearsals, touring and interviews. After 10 years in the band, he left the group in 1992, opting for new artistic directions. Although his exit from the group, he continued to compose with the other members Group and several of these partnerships were included in Records of the Titans, as well as his solo albums. In 2002 he formed with Marisa Monte and Carlinhos Brown, the Tribalistas project. He also served as an essayist in the newspaper Folha de São Paulo. Launched in late 2007 their first DVD, "When Live in Studio ", which weaves throughout his career and has special appearances of Nandi Reis, Branco Mello, Edgard Scandurra, Marisa Monte and Carlinhos Brown. His new show is part of the release of his new record 'Ie Ie Ie ', which will run throughout the country in 2010. He shares the stage with Edgard Scandurra (guitar, vocals), Betão Aguiar (bass, vocals), Chico Salem (guitar, vocals), Marcelo Jeneci (keyboards and vocals) and Curumin (drums and vocals). In repertoire, there are all the songs from the new album and other compositions as 'Consumado' (Arnaldo Antunes, Marisa Monte and Carlinhos Brown), 'Socorro' (Arnaldo Antunes and Alice Ruiz) and 'Essa Mulher' (Arnaldo Antunes). The Singer will also feature tracks from Odair José (Quando voc? decidir), Luiz Melodia (Pra Aquietar), Zé Dantas (Ela é Americana), besides the song Vou Celebrar '(Jorge Aragão and Dida NOECI). Born in Recife, Lenine moved to Rio de Janeiro in the late 1970s, when he began his "affair" with several people in the world of music. Elba Ramalho was the first artist to record a song of his. Then came Fernanda Abreu, O Rappa, Milton Nascimento, Maria Rita, Maria Bethania, and many others. He produced the records of Maria Rita, Chico Cesar and Pedro Luis & A Parede. He worked in television with the directors like Guel Arraes and Jorge Furtado and did the musical "Cambaio. In 2005 he won two Latin Grammy Awards: one for best album of Brazilian Contemporary music and another for the best Brazilian song. A lover of orchids, Lenine chose his most adored flower to christen their new work Labiata. The CD is his first studio album in six years - the last was "Falange Canibal" in 2002. Afro Reggae was established in 1996 with students from workshops in the Rio "Favela" of Vigário Geral. In 2001, the CD release of Nova Cara, by Universal, has accredited the band as the first Brazilian group that was created from a social project developed in slums, to launch their debut by an international label. Two presentations at Rock in Rio III officiated the launch of the album. The premiere of the show was in 1998 in Paris during France's World Cup. The second CD, "Nenhum Motivo Explica a Guerra", launched in 2005. In January 2006, Afro Reggae opened for the Rolling Stones in Rio, which gathered more a million people at Copacabana Beach. The Same year, the tour visited the top ten Brazilian capitals. In a pioneering initiative, the tour reconciled music, culture, entertainment and social activities social in a format unseen not only in Brazil but also abroad. In 2007, Afro Reggae made his first international tour internationally, through India, China, Colombia, England, Germany, the United States and Canada. Their new show "Favelization" launched in London was sold out. They will release their third CD by the end of this year. The Choir Meninos do Ara?uaí, is composed of children between 7 to 16 years and was formed in 1998, when the Popular Culture and Development Center (CPDC) of Ara?uaí. In over ten years the Boys have Ara?uaí training permanent and work with great artists from the Minas Gerais State. Along their path they have set up five memorable concerts, being the most significant in Brazil and France, recorded two CDs and a DVD, and has performed with artists such as Gilberto Gil and Milton Nascimento. In 2003, with the show "Santa Ceia" they were able to raise tons of food for the city of Ara?uaí, which fed 180 families for two years. With the money from the tkt sales and the sales of their CD "Roda que Rola", the boys made a real participatory budgeting within their communities and decided to use the money to build a movie theater. This work was inaugurated, with 105 seats, screen and projection 35 mm, high quality sound, air conditioning, art gallery and video production still having incorporated into its architecture the craft of the young cooperative group Dedo de Gente. The Record Label Palavra Cantada exists since 1994, when Sandra Peres and musician Paulo Tatit decided to create new children's songs for the Brazilian market. Their work is focused in the quality of the lyrics, arrangements and recordings so the intelligence and sensitivity of the children are respected. Palavra Cantada has now 20 titles in its catalog, including CDs and DVDs, and has been hailed by the public and the critics of the country as a work that stands alone within our musical culture. Four out of ten projects already launched by Sandra and Paulo won the Sharp's prize of best album. In 2001, they surprised with an audacious project: the CD-Book "songs of Brazil - Brazil sung by their children", which involved research and writing music for children from 26 states. Performed by local children, these songs highlight the cultural particularities of each region. In 2004, in celebration to its 10 years, the label has released on CD, VHS and DVD "Word Sung 10 years" a collection of their greatest hits. All the songs are accompanied by a string quintet, as in the shows that were performed in 21 Sao Paulo Public Schools, involving over 37 thousand people. Absolute success amongst the youngsters, the Hi-5 Five Senses transposes to the stage the show aired in Brazil by the Discovery Kids. The characters, created by Helena Harris, are directed to audiences from two to eight years old. Interpreters that participate in the Brazil run are part of the official Hispanic list specially selected under the supervision of the directors of the episodes of this popular television series discovered in Australia in 1999. Since then it's success has spread to the rest of the planet. Hi-5 Five Senses is a show with lights and colors for the fans to dance, sing and play together with the characters, who have been charming not only the children but also their parents for the strong educational content.